What room for innovation? Russia's education ministry presents a stand at "Open technologies" show in Moscow. (c) Grigory Sysoev / RIA Novosti. All rights reserved.Russia’s higher education sector is braced for significant cuts, with up to 10, 300 jobs disappearing. At the end of July 2016, the online Gazeta.ru daily published an article saying that by 2019 over 10,000 academic and research posts would be lost at Russian universities and institutes, including the Russian Academy of Sciences and the Kurchatov Institute, as well as the number of state-funded university places for students. Russia’s ministry of education and science rushed to deny that this is happening, but many teachers are sceptical: a constantly increasing workload and fall in real income, combined with the introduction of yearly contracts and problems with holiday pay suggest that further financial cutbacks are on their way. In mid-August, Russia’s education minister Dmitry Livanov was reassigned as the president’s trade envoy to Ukraine. As Olga Vasilyeva, Livanov’s replacement, prepares her plans, it’s useful to ask: what is the current state of higher education in Russia? According to Pavel Kudyukin, co-chair of the higher education teachers’ trade union “University Solidarity”, the cuts are firmly on the Russian government’s agenda. The number of university teaching staff is slated to decrease by 40% (in comparison with 2012) by the end of 2018. This comes after a period of reform during 2013-2014, in which most universities introduced new staff terms and conditions, including shorter contracts. Most higher education professionals are not facing dismissal under the relevant articles of Russia’s Labour Code, with two months notice and redundancy pay. Instead, they are simply not having their contracts renewed and thus are left without any social safety net. “This tendency is characteristic of what’s happening all over the country, although there are some differences in the higher education institutes,” Kudyukin tells me. “In some places it depends on publication schedules. If a teacher is contracted to produce a certain number of publications per year, they retain their long-term contract,. But if they don’t publish a lot they only get a yearly contract or are transferred to a so-called civil law contract — in other words, an hourly rate. Yet another stage in the travails faced by Russia’s teachers is the so-called “reorganisation” of universities and the ministry of education’s war on “fly-by-night” universities. The government’s development plan for higher education over the period 2016-2020 incorporates a 40% decrease in the number of private universities and an 80% drop in their affiliated bodies. Rosobrnadzor, the government’s education watchdog, also regularly removes universities’ right to enrol students for courses in subjects considered irrelevant or unimportant — economics, management, tourism and law are typical examples. 18 August 2016: Dmitry Livanov, Russia's education minister, at a cabinet meeting. (c) Alexander Astafyev / RIA Novosti. All rights reserved. All rights reserved.In the past year, over 600 universities and their affiliated colleges, including those in the Chelyabinsk region, Bashkortostan, Altai, Buryatia and other regions, have lost their accreditation and licences. Russia’s ministry of education doesn’t hide its attitude to these institutions: colleges with a narrow subject base should not accept students for these non-essential courses, because their quality is questionable. Moreover, today almost all state support is concentrated on producing IT and engineering specialists, while other subject areas are starved of cash. There is a growing imbalance, and the state remains the main provider of education services. Denis Konanchuk, the head of Moscow’s Skolkovo business school, says that the list of ministry projects reveals the government’s priorities: “It is focusing its attention on areas where there is a recognised lack of specialists”. Meanwhile, Russia’s regional universities are regularly being merged or split up. Eleven universities in major cities across Russia, including those of Volgograd, Ufa, Tyumen, Rostov-on-Don, Kostroma and Omsk have joined a “Key universities” project, designed by the ministry of education to be “flagship” bodies for local economies and halt the brain drain of graduates to Moscow. Indeed, in some cases, senior staff are happy to merge, if it means more money. The idea of the project is as follows: at least two universities have to draw up an agreement with one another, and with their regional authorities, to unite under the leadership of one of the universities and produce a federal-level initiative to create a development programme for several years ahead. The universities merge their admin services and get rid of superfluous managers and secretaries; the money freed up can then be spent on research, conducted in coordination with regional industries. The ministry of education then gives each university an extra grant, on the basis of it being able to attract its own funding within five years. The plan was to roll the project out in three stages, and possibly end up with several dozen “key universities”. But attracting participants has not been so easy: only 15 universities applied to join the project and four of those were turned down. Moscow's State Linguistic University has witnessed protests from students in recent months over the removal of accreditation for several departments. (с) Alexander Utkin / RIA Novosti. All rights reserved.The project’s critics point out that the real number of universities and free student places in a given region will fall as it develops, and what teachers and students fear most is the loss of unique courses. The calculation of average salaries in the sector also raises numerous questions: the salaries of university rectors and pro-rectors, who usually receive several million roubles a month, is averaged out with those of senior teaching staff. The university merging programme, the removal of its accreditation or sudden closure puts not only teachers in a fix, but students as well. This spring, students and teachers from Moscow’s State Linguistic University were often to be seen gathering in front of the ministry of education and science building on Tverskaya street, the capital’s main thoroughfare. They were protesting against Rosobrnadzor’s decision to remove the accreditation of a number of the university’s departments literally two months before the students’ final assessment. The ministry also closed the university’s affiliated body in Irkutsk — the Eurasian Linguistic University. The students had to swiftly re-enrol at other universities, and the teachers to find new jobs. At present the buildings in Irkutsk are being emptied of all their fixtures and fittings. The “Dissernet” association, which monitors academic papers for plagiarism, has accused Igor Manokhin of plagiarising his doctoral thesis. Source: Dissernet / Facebook. “The ministry is recommending that other regional universities employ teachers from universities that have been wholly or partially closed. But it’s only a recommendation, with no legal force,” says Kudyukin. “And the fact that students are being deprived of their degrees is simply illegal. If someone has enrolled and has completed an academic course, they have to be allowed to graduate. 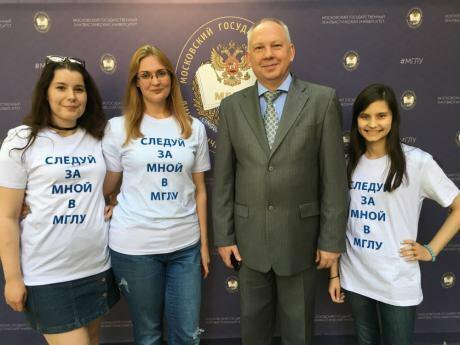 The changes at the Moscow State Linguistic University are taking place under the leadership of its new acting rector Igor Manokhin, who has been in the post since February 2016. And this is not the only Moscow university with longstanding structural and financial problems. 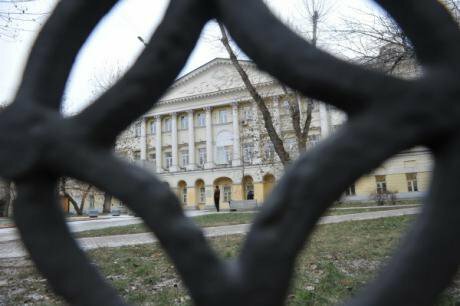 The Russian State University for the Humanities is still in a situation where it can’t afford holiday pay for its teachers. This is the second year that holiday pay has been held up. In 2015, the teachers only received their long awaited arrears towards autumn. 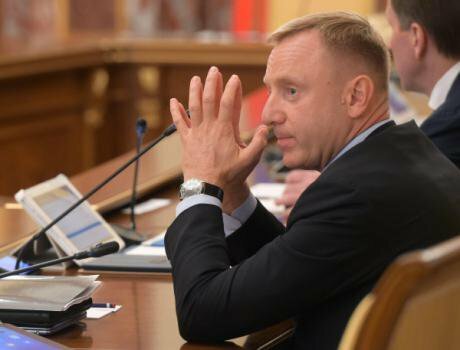 The university has been in deep financial trouble for a decade now, much of it is put down to its previous rector Yefim Pivovar, but Yevgeny Ivakhnenko, the new holder of the post appointed last winter, is also helpless to resolve the issue. According to Oleinikov, the university administration has no explanation for this effective breach of labour legislation and has promised to pay the arrears by 20 August. The Russian State University for the Humanities was founded in 1991 as the result of the merger of the Moscow Public University and the Moscow State Institute for History and Archives, whose rector was the historian and politician Yuri Afanasyev. It was his idea to create a prestigious humanities university that would become a platform for public discussion and bring together specialists in cultural, linguistic and social studies, many of whose academic careers had been stymied during the Soviet years for political reasons. In 2003 the university got a new rector, Leonid Nevzlin, a businessman and co-owner of the Yukos Oil Company together with Mikhail Khodorkovsky, and a rosy financial future beckoned. New courses on international cooperation appeared, new research centres were opened and teachers from other countries were appointed. It was not, however, to be: with the opening of the “Yukos Case” and the arrest of the company’s head Mikhail Khodorkovsky in 2003, the university lost both its sponsor and its rector as Nevzlin, also fearing arrest, left Russia and is now resident in Israel. From that moment, the university’s financial situation became increasingly shaky and in 2012 Russia’s education ministry declared it a poorly performing institution. The teaching staff published several open letters to the university administration and asked the ministry to resolve its financial problems until it could take them into its own hands again. Many staff members left it for other universities, such as the Moscow’s Higher School of Economics and Moscow State University. Both Kudyukin and Oleinikov believe the problem lies to some extent in the system’s lack of transparency: the teachers have still not been able to discover who was responsible for the holiday pay debacle, the ministry or the rector. “The Ural Federal University (YuFU) regularly monitors awareness levels in its target regions, including CIS countries, to find out if potential students know about it,” said Yelena Brandt, head of public relations at Moscow Institute of Physics and Technology, at a round table discussion about Russian universities’ performance levels last December. The fact that Russian universities were unknown outside Russia was discussed at government level as early as 2012. At the same time, Vladimir Putin issued an executive order “On measures to develop government policy on Education and Science”. This document set Russia’s higher education sector an ambitious task — no fewer than five universities were to be included in the World Top-100 rankings by 2020. A year later, the ministry for education and science inaugurated a “Top 5-100” programme, involving first 15 universities and then six more. They would acquire up to the minute laboratories and research centres, increase their academic productivity, attract students and teaching staff from other countries and take the top places in the prestigious Shanghai, Times Higher Educational Supplement (THE) and QS rankings. The project was allocated 60.5 billion roubles (£724m) of public funding for the period 2013-2017, but there is no guarantee that even one of the candidate universities will make the top 100. In 2015, the education NGO “Obrnadzor” produced a report entitled “5-20: the price of failure”, which stated that the average cost of increasing a QS rating by one point was 72m roubles (£861,000), and the participating universities could only be assessed for THE ranking if there were 800 of them, rather than the existing 400. Even Russia’s Accounts Chamber has been critical of the plan. The education ministry and the universities say that this criticism is unfounded and that the auditors don’t understand the specifics of the rankings and are jumping to hasty conclusions — the programme has seven years to run. However, the ministry has decided to take no chances and has reformulated the task: the universities are now to target subject, and not global ratings. The programme does give a few of the most active universities the chance of extra funding. But although Pavel Kudyukin accepts this fact, he finds its aim a strange one: “The formulation of the task is ridiculous: the goal should be to improve the quality of the education offered, not its place in a rating, which is an ultra-bureaucratic approach to the question”. Daria Kozlova, the head of St Petersburg’s ITMO University’s Institute of International Development, agrees that ratings are not an end in themselves and are only one element in any academic assessment. Kozlova’s university, which is part of the “5-100” programme, was one of those targeted for criticism by the Audit Chamber. It has promised only to make the Top-200 by 2020, despite getting the largest grant of 2015 — 964 million roubles (£11.5m). Denis Konanchuk of the Skolkovo business school agrees: “If you want to get into the Top-100, you need to be in direct competition with universities that have an established reputation. You need to be in a class of your own, with no copying of other people’s ideas. That’s creative intellectual work, and you can’t do it in just eight to ten years”. But that’s not the only reason why Russian universities can’t compete with Stanford or Cambridge. As Sanatov says, they just don’t have enough cash: “the budget for the entire programme comes to about the same as the budget of just one of the Top-100”. And Sanatov points out another basic problem: these expensive ministry projects are designed to fragment Russia’s universities even further. Want to know more? Check out how neoliberal strategies have come to dominate Russia's reform agenda or follow us on Facebook and Twitter.